Your Local Home Inspector. Leave it to US! 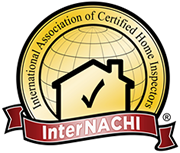 Davis Home Inspection Llc is the new premier home inspection Company in the State College, Centre County area. We offer many great services that are designed to help inform, and educate you, our customer. 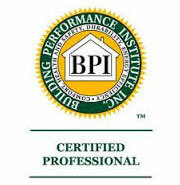 As a Certified Master Indoor Environmental Specialist and Green Energy Consultant you can utilize my knowledge about many other factors beyond just the scope of the structural inspection. This can help you protect yourself and your loved ones, allowing them to live and sleep in a quality environment. We spend on average of 75% of our time in our home. As a result Your home should be the best possible environment for them. We can help you. From dust mites, and allergens to energy star rated appliances, and 'green' environment your home. So let Our knowledge work for You! Precision reporting is one of the cornerstones of our services. We offer a fast report response with a 24 hr. turn around because we understand the timely needs for your real estate transactions. We are very proud to offer on the spot radon testing results. "When the radon test is retrieved your important results will be sent to you right away." Your easy to read reports will be sent to you via email that will be filled with colorful depictions and indicators for ease of recognition. E-Mail Enter Your Email.Not A Valid Email Address.